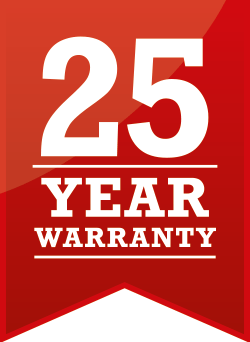 The 25 Year Warranty covers all permanent copper cabling, outlets and jacks within the horizontal cabling of a Cat5e, Cat6 or Cat6A structured cabling system which has been tested and certified as an Ultima Cat5e, Cat6 or Cat6A system in place of the warranty set out in our current terms and conditions of sale. • All other provisions in our standard terms and conditions shall continue to apply. • All links must be installed and tested by an Ultima Certified Installer (UCI) in accordance to Ultima and industry guidelines to qualify for the warranty. Certification tests for Cat5e/Class D, Cat6/Class E or Cat6A/Class EA must be carried out on all outlets by the UCI and submitted to Ultima for approval in order for a system to qualify as a certified system and thus be covered by the warranty. A suitable cabling certifier tester, as approved by Ultima, must be used. The results must be sent to Ultima in the form of an email or CD ROM, utilising the manufacturer’s software. • 100% of all horizontal links are to be tested as permanent links. • Results to be submitted in the original tester format (see below). • The cabling system must be installed in accordance with the relevant standards for open structured cabling. • Test patch cords used for testing may only be of a type approved by the manufacturer for the tester being used.